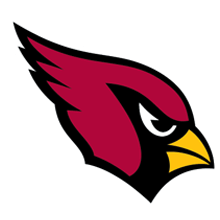 Arizona Cardinals packages on sale with TicketmasterVIP! Get your Cardinals package today for the ultimate NFL experience. Be there live to cheer on the Cardinals at home or on the road with an official package. Home game ticket packages include access to the Game Zone Tailgate featuring three hours of pregame festivities including the Cardinals Radio Pregame Show, cheerleader appearances, interactive games, food and non-alcoholic beverages with a cash bar. Looking to go big this year? The Cardinals Game of the Year is a rematch of the NFC Championship game at Carolina. Travel packages are available which include hotel accommodations, game tickets, and souvenirs.